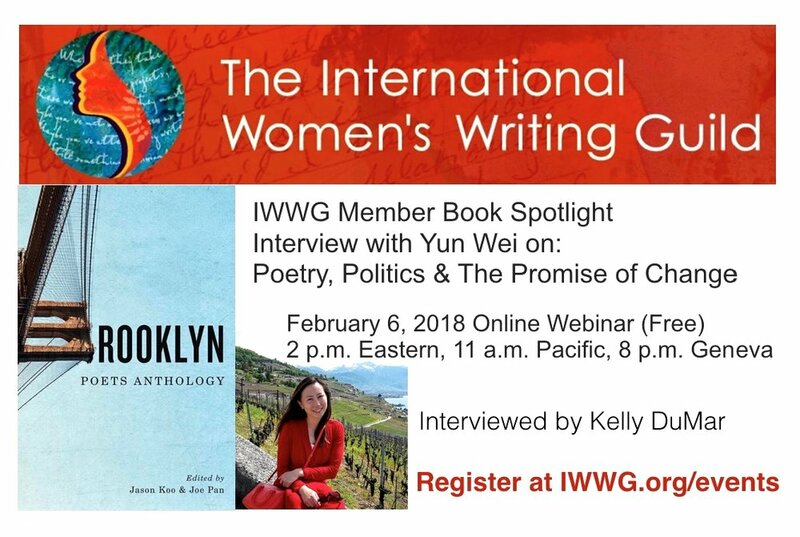 I'm excited to be interviewing IWWG member, Yun Wei, from her home in Geneva, (from my home in Boston), for this webinar to talk to her about her stunning and intriguing poems and writing process, as well as her dual life in Geneva, Switzerland and Brooklyn, NY. Yun will read selected poems as we explore the theme of politics in poetry and her belief that poetry has the power to enact the change that politics promises. before the rain invited itself in. This webinar will be recorded and shared with anyone who registers and cannot attend!